Cristian Molinaro, Daniele Baselli and Giuseppe Vives all came back into the team, whilst Ciro Immobile continued alongside Andrea Belotti in attack. Toro should have taken the lead after only five minutes, but Davide Zappacosta headed over the ball when well placed. Davide Astori somehow headed wide from close range for the home side, however they were soon ahead thanks to Josip Iličić's excellent free kick. Daniele Baselli had Torino's best chance of the second half, but his volley was turned round the post by Viola keeper Ciprian Tătăruşanu. The result was put beyond any doubt with ten minutes remaining when Manuel Pasqual's corner was met with a thumping header from Gonzalo Rodriguez. 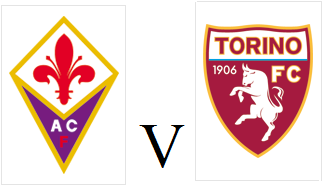 Torino will be looking to extend their unbeaten run to three games when they face Fiorentina on Sunday afternoon. The Granata were impressive in midweek against Sassuolo and Giampiero Ventura may be tempted to stick with much of the same team for this difficult trip to Florence. Maxi Lopez has once again not made the squad amid concerns about his weight, therefore Ciro Immobile and Andrea Belottis should have opportunity to continue their promising partnership upfront. The Viola have been title contenders for much of this season, but have lost their last two games against Lazio and AC Milan. Andrea Belotti scored his third goal in two games, but the Granata could not hold on to all three points as they drew 1-1 with Sassuolo on Wednesday evening. Giampiero Ventura made four changes from the side who beat Frosinone, as Davide Zappacosta, Alessandro Gazzi, Afriyie Acquah and Gaston Silva all came into the team. Toro took the lead mid-way through the first half after a flowing counter attack allowed an unmarked Andrea Belotti to steer home Marco Benassi's cross. Kamil Glik had a great chance to open his account for the season and double Toro's lead, but he was denied by Andrea Consigli. Sassuolo were back on level terms when Davide Biondini's initial effort was parried by Salvador Ichazo, but Francesco Acerbi was on hand to score. Toro had a chance to re-gain the lead in the second half, but Andrea Belotti was unable to get enough power on a shot from Ciro Immobile's cut back. Alfred Duncan and Diego Falcinelli both missed great chances for the home side, but Torino held on for a deserved point. 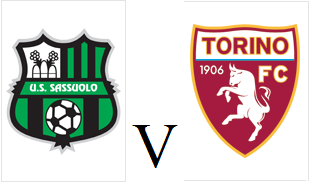 Torino will travel to Sassuolo on Wednesday evening for a re-arranged game which was originally scheduled for December but postponed due to fog. Bruno Peres will miss out for Toro through injury, although Nikola Maksimovic has recovered from a knock he took at the end of the Frosinone game. A victory for the Granata would take them into the top 10, but Sassuolo are unbeaten at home this season and are six points above Toro in the table. Torino won their first game since November as they beat Frosinone 4-2 on Saturday evening, with the returning Ciro Immobile amongst the scorers. Immobile started upfront on his 'second' debut for the club, whilst Uruguayan goalkeeper Salvador Ichazo was preferred to Daniele Padelli in goal. Toro made a bright start and were awarded a penalty in the opening ten minutes when Kamil Glik was pulled back by Davide Bertoncini. Ciro Immobile had to take the spot kick twice, due to encroachment, but on both occasions sent Nicola Leali the wrong way. The Granata failed to build on their great start and were rightfully punished by the visitors who equalised through Paolo Sammarco's sensational header from Daniel Pavlovic's cross. However Toro were back in front just four minutes later, and Immobile was once again heavily involved as his header was initially saved by Leali, but Andrea Belotti was on hand to score. 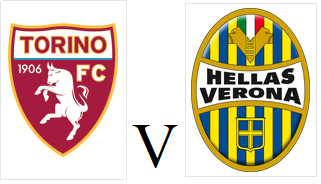 Torino then extended their lead even further just before half time when Frosinone failed to clear a corner, and that enabled Nikola Maksimovic to find Belotti who fired the ball into the roof of the net. Frosinone were once again given a lifeline mid-way through the second half when substitute Danilo Avelar diverted a corner into his own net. However, with less than ten minutes remaining, Toro secured all three points when Belotti's low cross found Marco Benassi, who finished smartly. Torino will look to end their run of four defeats in a row when they host relegation threatened Frosinone on Saturday evening. New signing Ciro Immobile is included in the squad and could make his second debut for the club, although Maxi Lopez misses out amid rumours he returned back from the Christmas break overweight. Frosinone, who are coached by former Toro striker Roberto Stellone, have lost four of their last five games including a heavy 5-1 defeat at home to Napoli last time out. 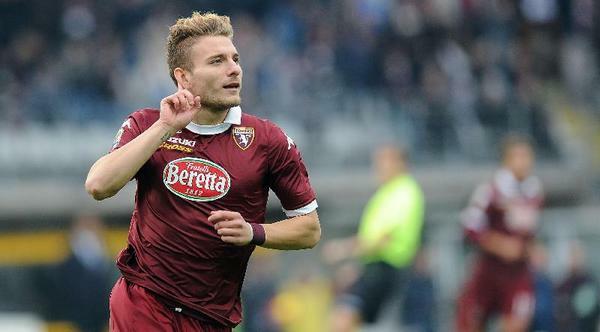 Torino have completed their first signing of the January transfer window, as Ciro Immobile has returned to the club on loan from Borussia Dortmund. Immobile was a huge success in his previous spell with the club, scoring twenty-two league goals as he became the first Toro player to win the Capocannoniere award as top scorer since Francesco Graziani in the 1970s. After initially spending this season on loan at Spanish side Sevilla, that loan has now been cut short in order for the former Pescara man to return to the Granata. After word of Immobile's return broke on Tuesday, hundreds of Toro fans greeted the player at the airport. Torino's poor run of recent form continued as they fell to a disappointing 1-0 defeat to Serie A's surprise package Empoli. Fabio Quagliarella was the subject of a number of protests from the Toro supporters following his celebration (or rather lack of) after scoring against Napoli, and was left on the bench with Josef Martinez given a rare start upfront. It was the Venezuelan who had the first chance of the game after he latched onto Marco Benassi's long ball, but he was denied by Lukasz Skorupski. Veteran striker Massimo Maccarone also went close for the visitors, however his curling effort went narrowly wide of the target. A long pass by the returning Nikola Maksimovic found Martinez who found himself one on one with Skorupski, but he scuffed the finish once again. Riccardo Saponara was pulling the strings for Empoli, and he assisted Piotr Zielinski who forced a good save from Daniele Padelli. Empoli took the lead ten minutes into the second half when Manuel Pucciarelli's through ball fortuitously found its way to Massimo Maccarone who put the ball through Padelli's legs to score. Andrea Belotti and Bruno Peres were both denied by Skorupski as Toro went in search of an equaliser. In the dying seconds, Kamil Glik narrowly headed off target, but the Granata were unable to find an equaliser and Toro fell to yet another disappointing defeat. 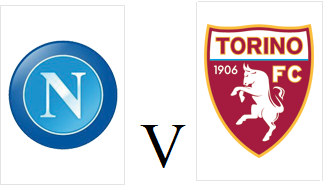 Torino succumbed to a third consecutive defeat as goals from Lorenzo Insigne and Marek Hamsik gave Napoli a 2-1 win. In the early stages, Daniele Padelli had to make a good save to deny Jose Callejon from long range, although the home side did not have to wait long to take the lead. Some excellent interplay by Napoli culminated in Lorenzo Insigne scoring an excellent volleyed lob from just outside the area. Toro were almost level moments later when Fabio Quagliarella met Cristian Molinaro's cross but he was denied by a fine save by Pepe Reina. However, the Granata were awarded a penalty ten minutes before half time when one time Toro transfer target Faouzi Ghoulam was adjudged to have fouled Bruno Peres. Former Napoli player Fabio Quagliarella stepped up to take the spot kick to equalise. Napoli regained the lead just before half time when Insigne's pass found Marek Hamsik who converted from a difficult angle. Toro struggled to create chances in the second half, but had an opportunity when substitute Maxi Lopez dispossessed Kalidou Koulibaly on half way, but Afriyie Acquah was unable to reach the Argentine's low cross. Toro were unable to find an equaliser and have now dropped to 14th in the table - however they have winnable games coming up against Empoli, Frosinone and Sassuolo.